On Friday we helped in the Food Bank in Morecambe and it was still a pleasure for us to join the group of helpers who are already familiar faces and we know how the land lies. In the evening we went all together (also with our host family) to Bolton for a Taizé Prayer. That means late breakfasts, discovering our surroundings, visiting different churches and watching movies in the evening. 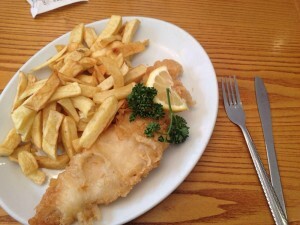 On Saturday the three of us went to Lancaster for eating the traditional english food ‘fish & chips’ – it wasn’t how we expected, but we didn’t take it as a ‘take away’ and Andrew explained us later that this is an absolut must. 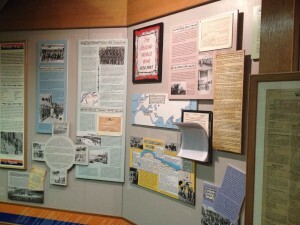 Afterwards we visited the Lancaster City Museum & The King’s own Royal Regiment Museum. 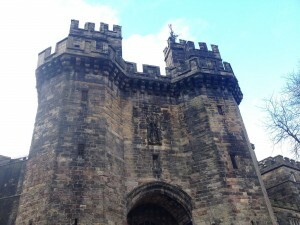 We discovered more about Lancasters past from the Romans to the present day and traced the pedigree of Lancaster’s regiment from 1680 onwards. After we had a look at the famous Castle, we discovered behind it the Church Priory – really impressive buildings. It’s the fourth sunday of Lent and exactly three weeks before Easter Sunday, that means it’s Mothering Sunday in the Uk. Originally it was a time when people returned to the church, in which they were baptized or where they attended services when they were children. This meant that families were reunited as adults returned to the towns where they grew up. It’s now an occasion to bring gifts to your mother and other mother figures, such as grandmothers and stepmothers. 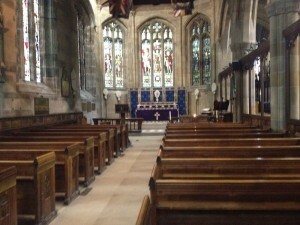 After a substantial breakfast we went to St Wilfrid’s Church in Halton for sunday service. 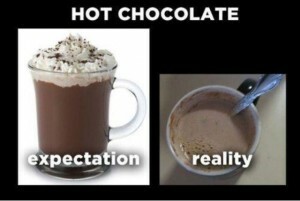 Do you know all the pictures on the Internet: ‘Expectations vs. Reality’ ? I could draw such a picture for telling the story of our sunday evening. 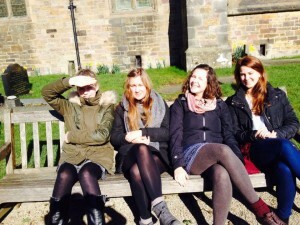 Expectations: We go to the evening service at 7.30 pm at the Chaplaincy in the Lancaster University. Reality: We missed our regular bus and had to take the bus one hour later, but it was still possible to arrive in time. Our bus was ten minutes too late, but that was not the problem… when we finally arrived, we realized that the service started already at 7 pm, so we were 40 minutes too late – what a pity 🙁 Nevertheless we were invited for tea and cake afterwards. It was not like expected, but we had a funny evening with beautiful conversations and a delicious cake.